In the second episode of Act Like A Limey, Think Like A Yank, our hosts question which is better… driving on the left or driving on the right? Answer: the same as everyone else, depending on which country you’re in! Get the inside track on cars either side of the pond right here. In this monthly comedic culture guide, The Limey (a British chap) and the Yank (an American gal), navigate you through the distinctions of British and American culture. Episode one, “Cities”, visits London and New York through the eyes of an excited tourist, like an episode of Rick Steves… if Rick Steves were an honest millennial. 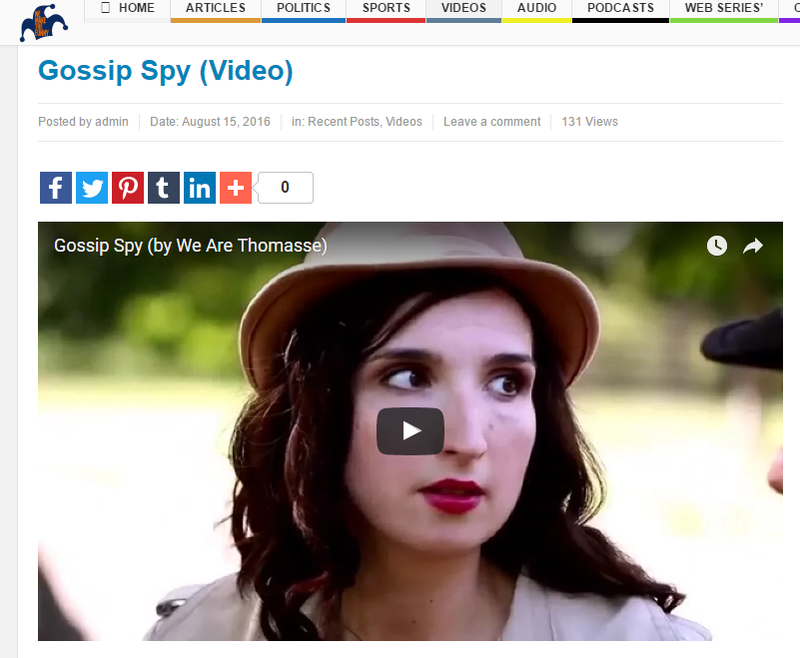 Gossip Spy Featured on We Make The Funny! Thank you, We Make The Funny, for spotlighting some of my favorite sketches I’ve produced. Check out Gossip Spy and more at We Make The Funny!